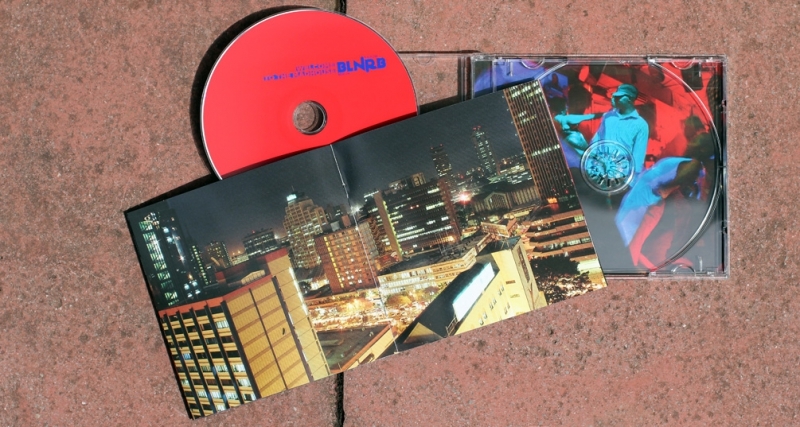 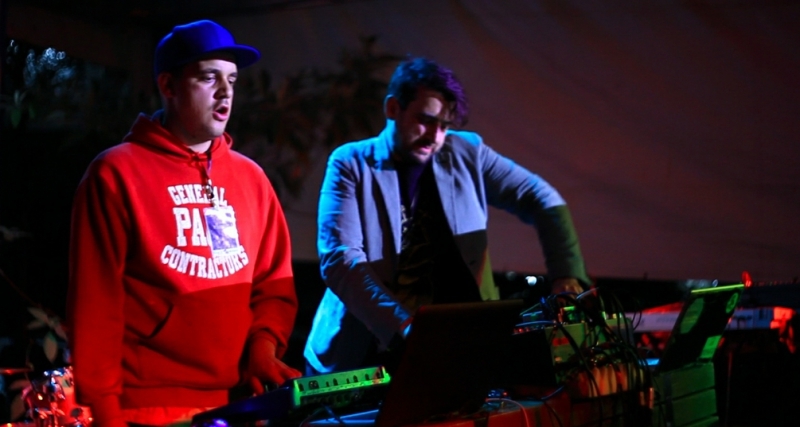 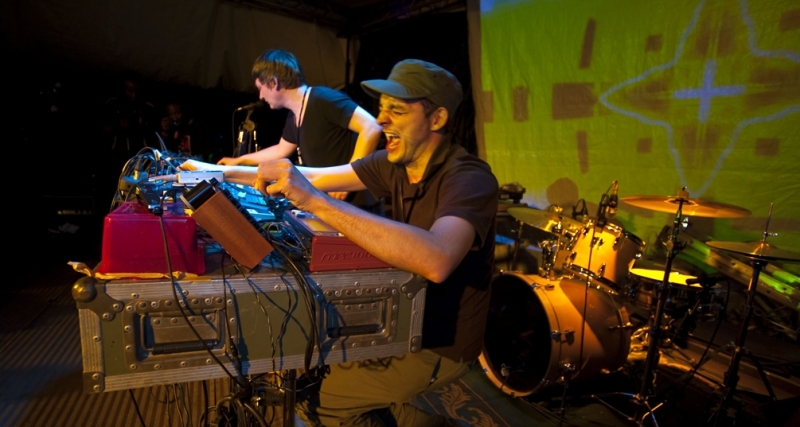 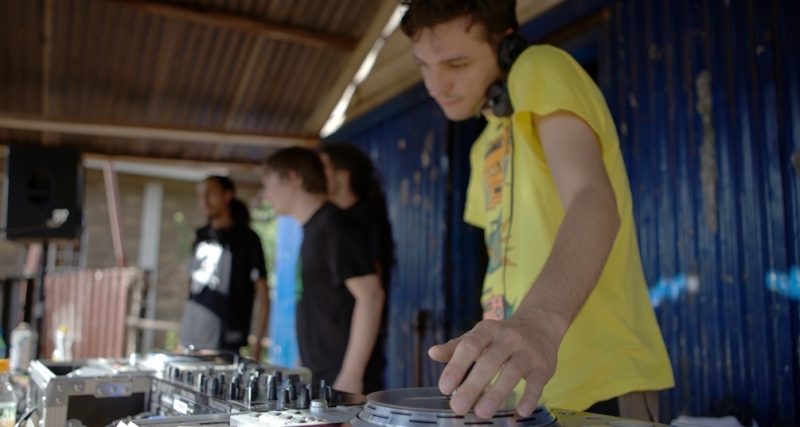 In early 2009, three bands from the world-reknown Berlin electronic music scene set out to a journey, their destination: Nairobi, Kenya, in East Africa. 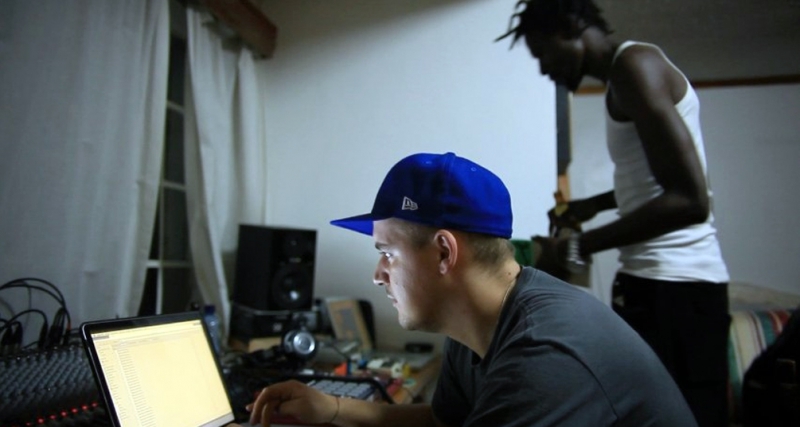 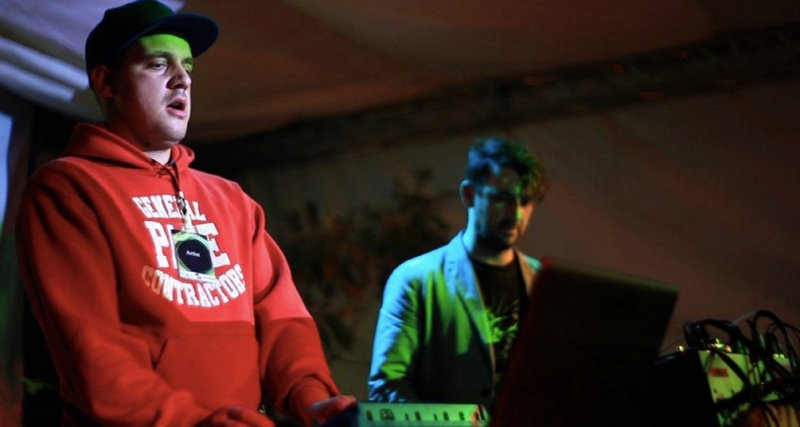 The idea ‚Berlin meets Nairobi‘, brainchild of Goethe-Institut Nairobi and electronic music duo Gebrüder Teichmann, was as simple as it was complex at the same time. 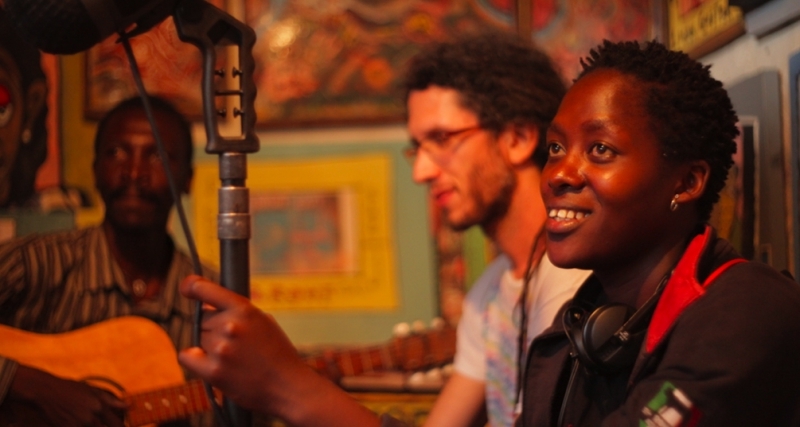 Berlin musicians would come to this vibrant East African metropolis and meet, mix and mingle with artists from the local music scene. 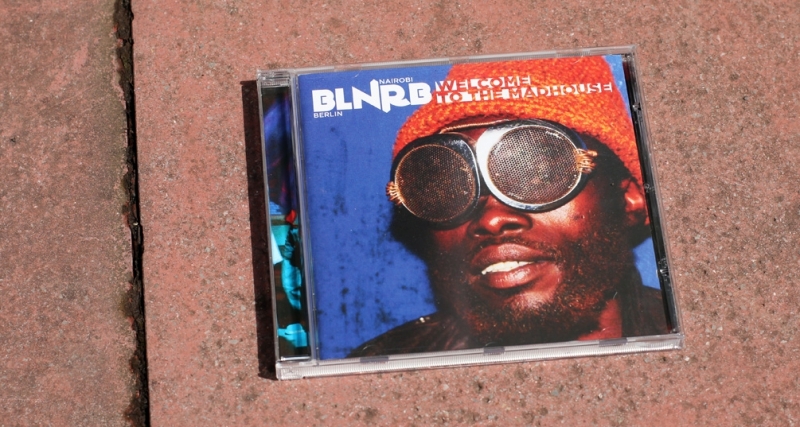 The name of the project became BLNRB-NRBLN, a fusion of the colloquial abbreviations of the two cities involved. 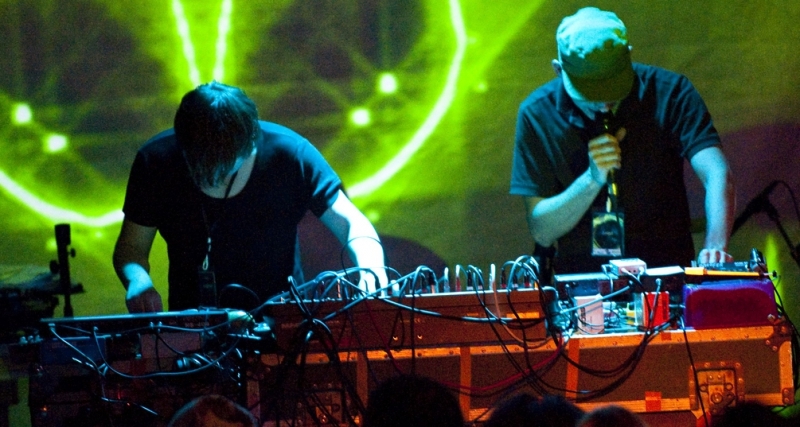 From Berlin, there wereModeselektor, the hyperactive breakbeat-duo, curious electronic producers Gebrüder Teichmann and Jahcoozi, the multicultural star trio composed of Dubstep, Grime Rave and hyper-sonic Electronica. 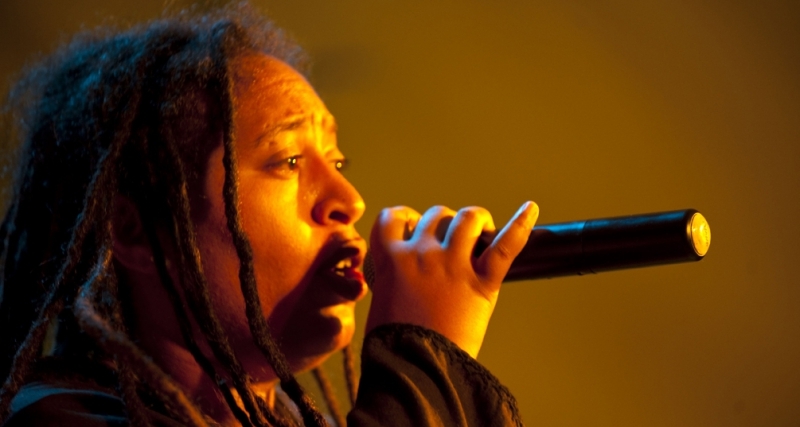 From Kenya, rappers like Mister Abbas, Kimya and Lon ́Jon or the first lady of Kenyan rap, Nazizi, became part of the joint collaboration. 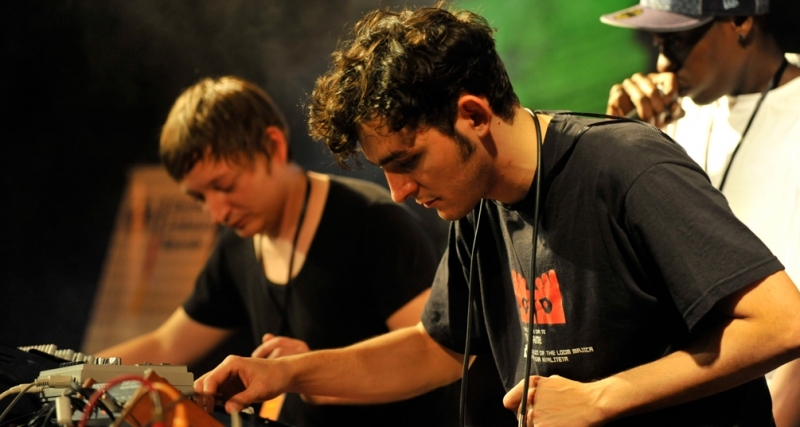 The electropop band Just A Band and blind singer/guitarist Michel Ongaro also contributed their flavors. 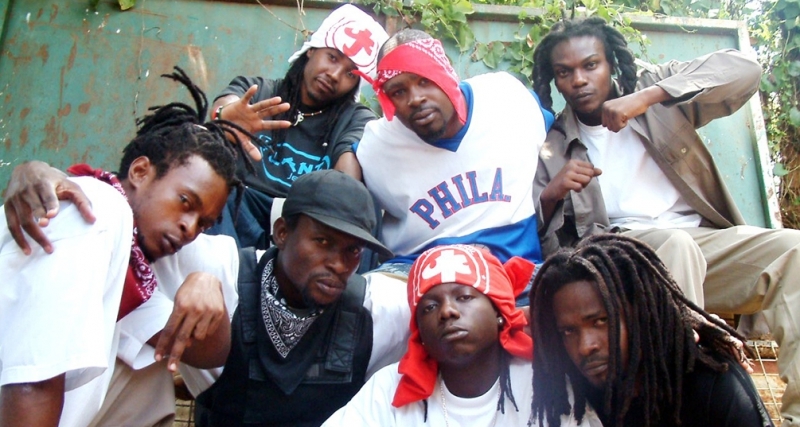 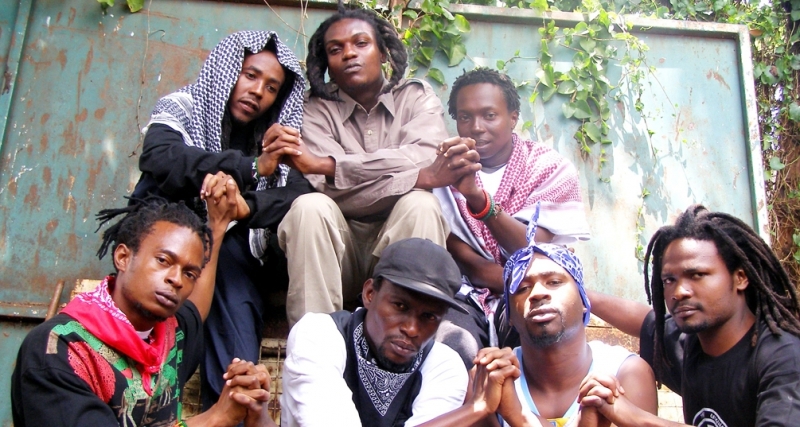 In addition, six members of the HipHop collective Ukoo Flani from the coastal city of Mombasa were a key part of the body of MCs who would turn up every day and night. 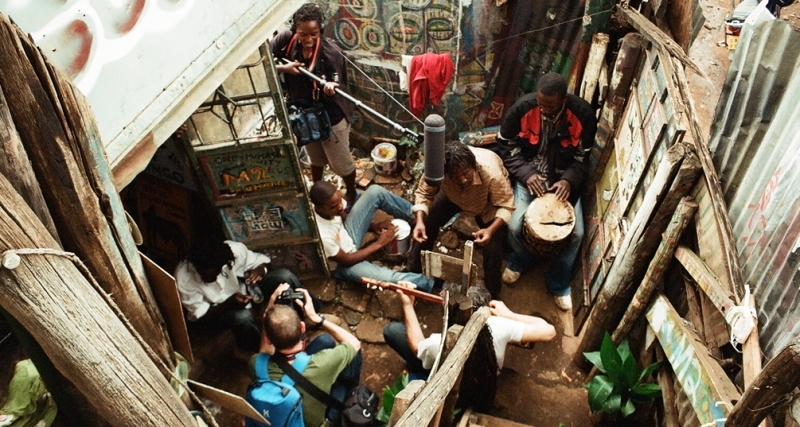 Two studios were established in a townhouse in Nairobi, where everyone in the project worked, performed and lived together. 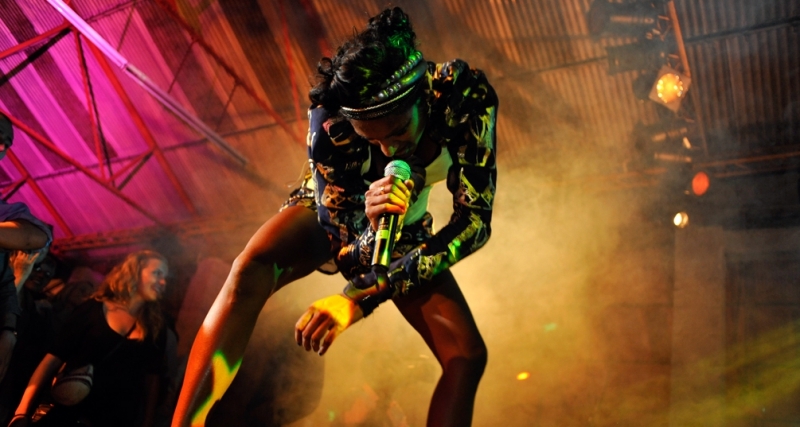 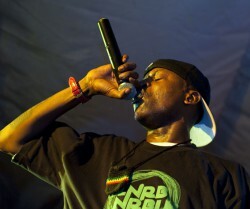 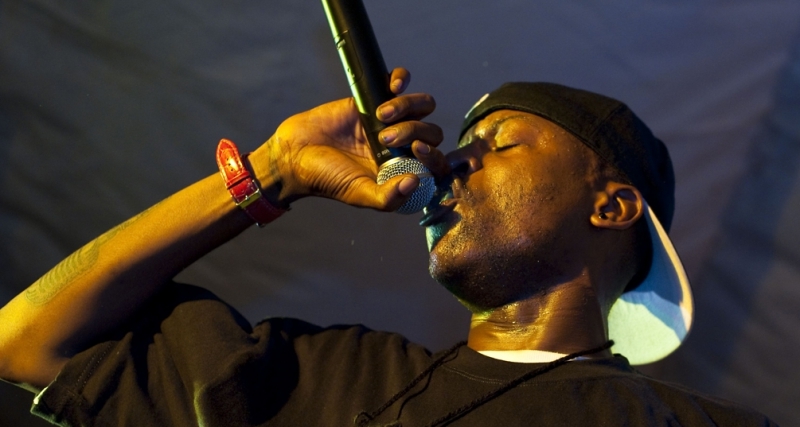 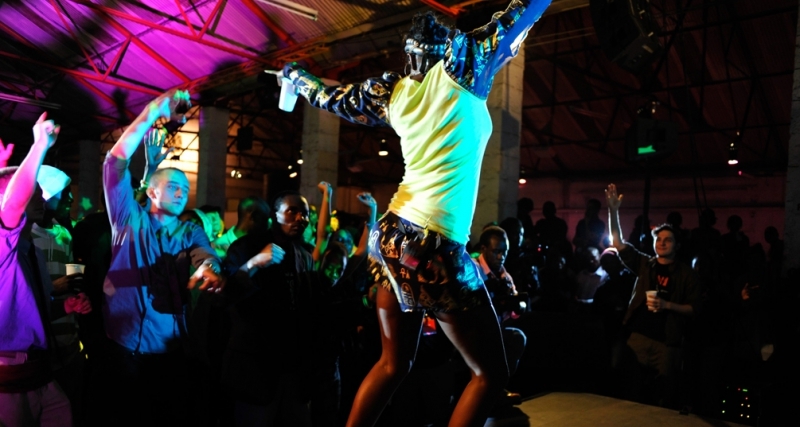 The above-mentioned bands were invited but word spread like fire within Nairobi’s music scene. 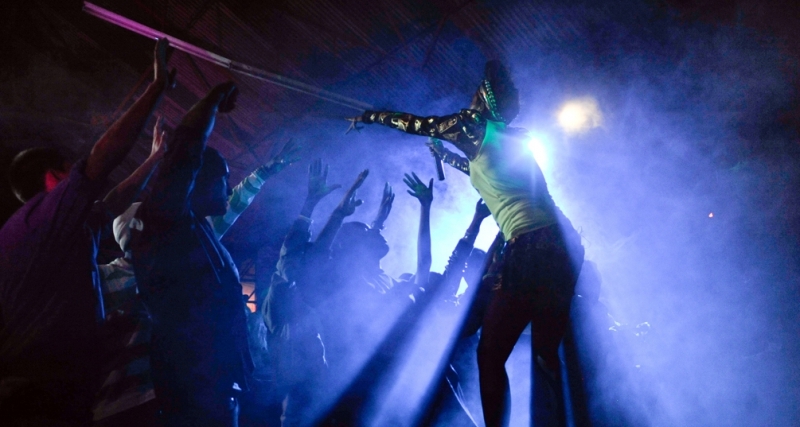 Quickly there was a frenzy of artists coming and going, the now infamousMadhouse was born. 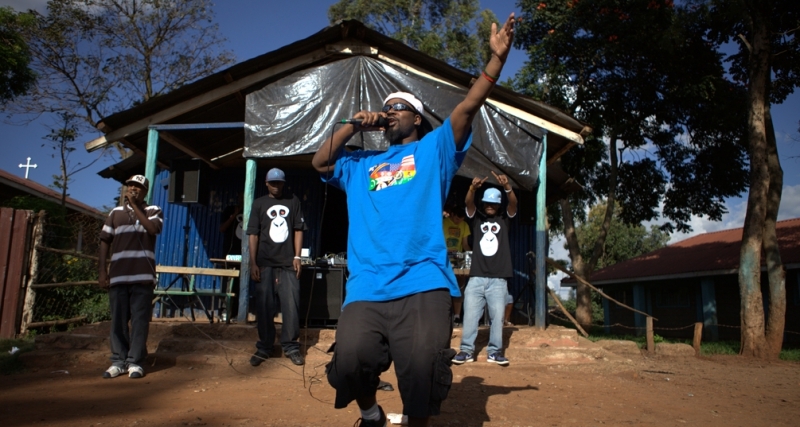 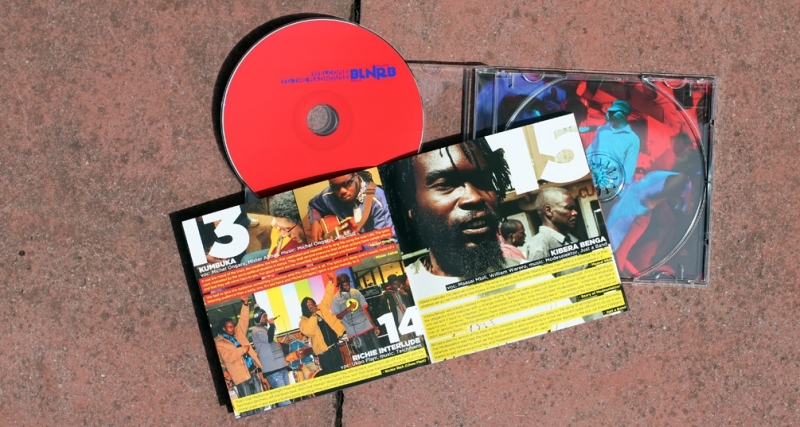 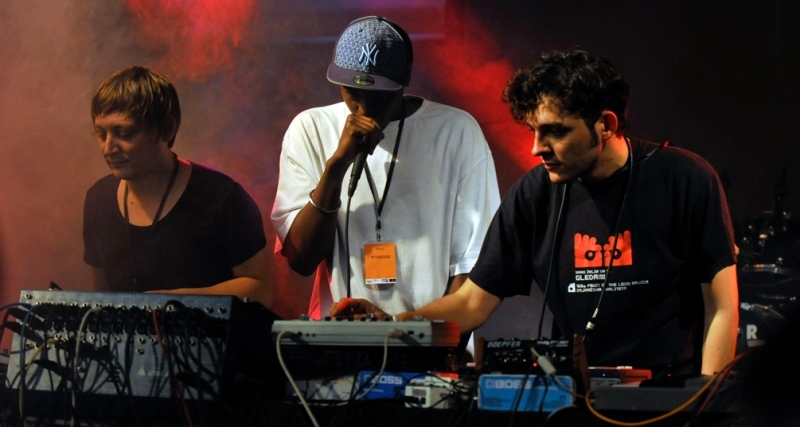 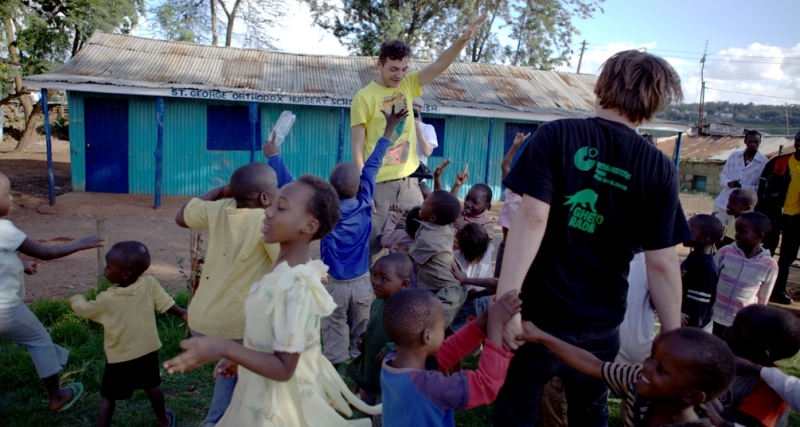 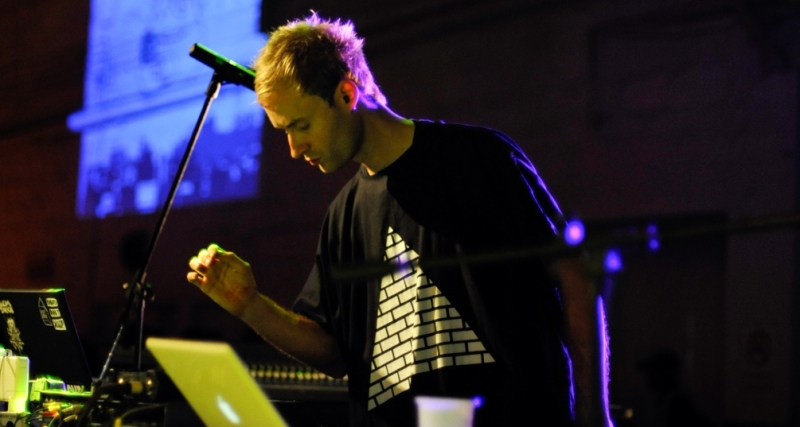 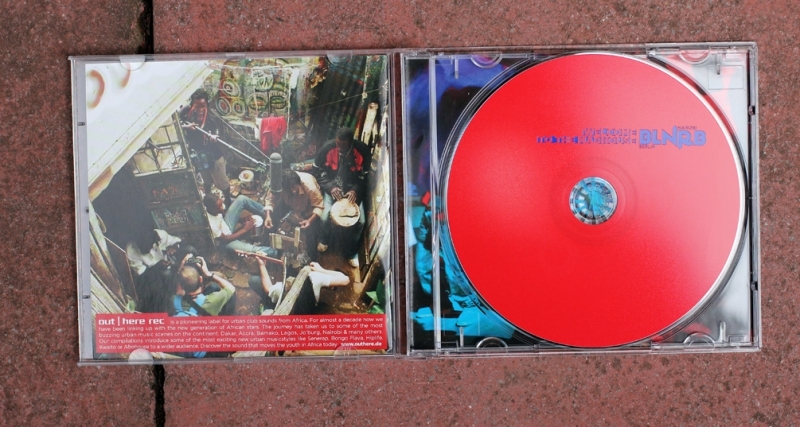 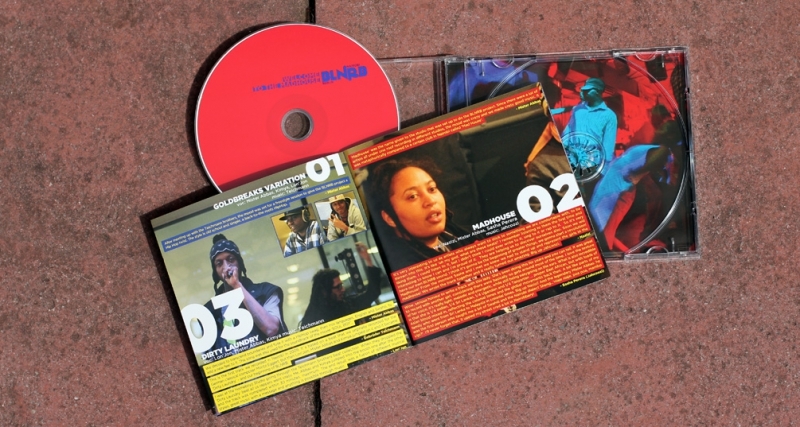 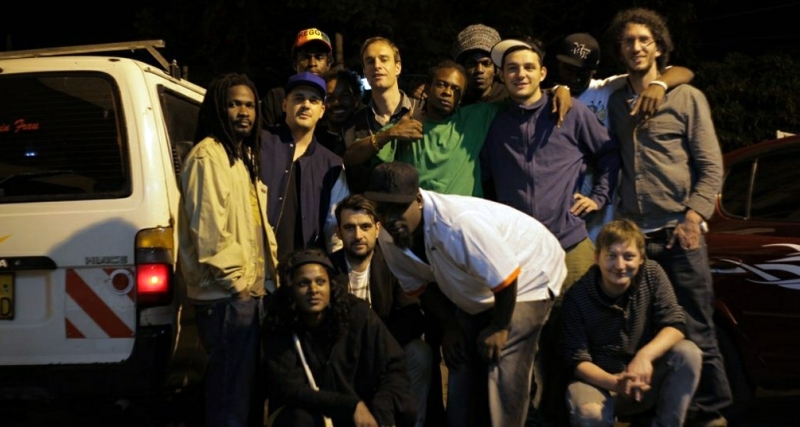 After a first concert in Nairobi in 2009, the Berliners went back to Kenya in spring 2010 for a few weeks, and it was during this period, that the first recordings of the presented tracks were made. 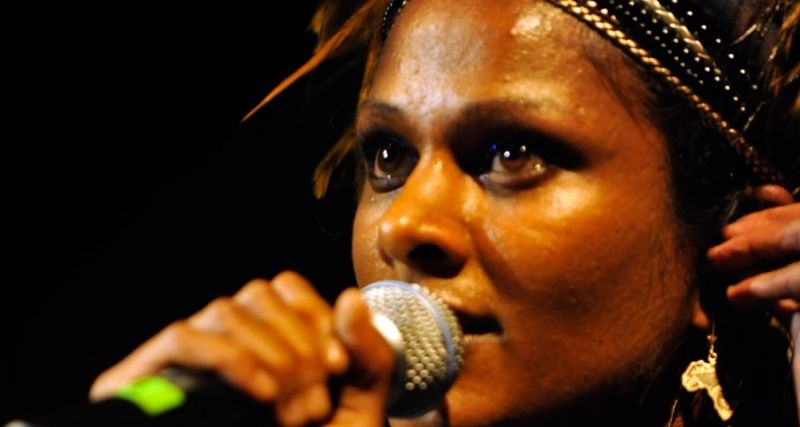 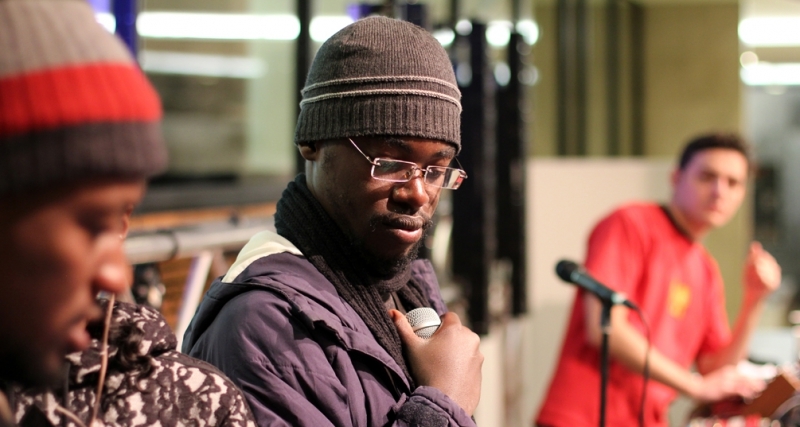 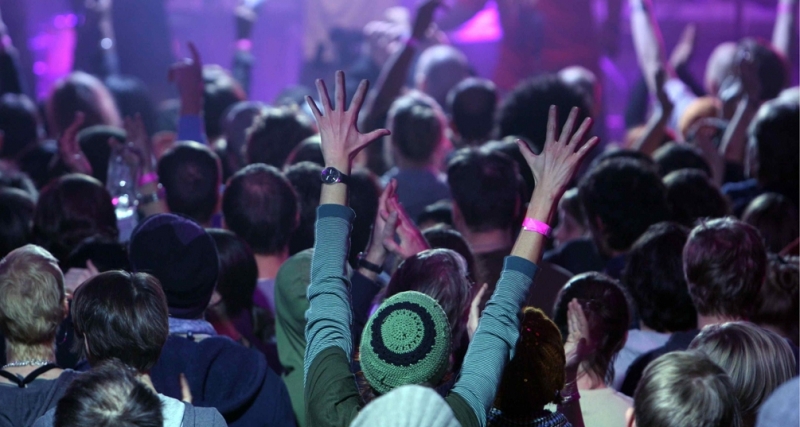 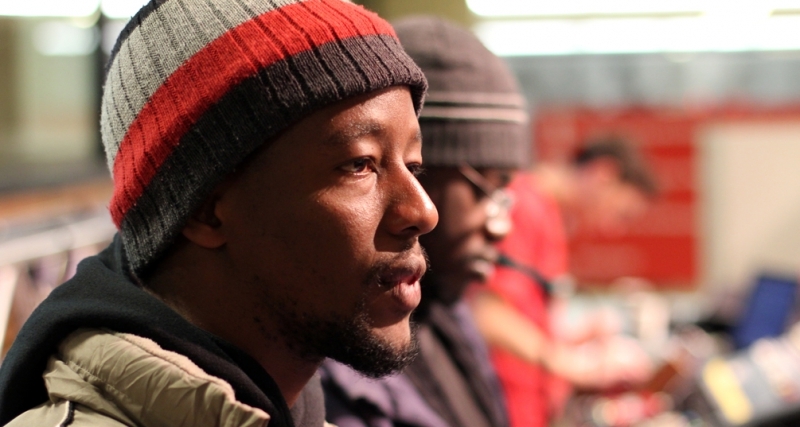 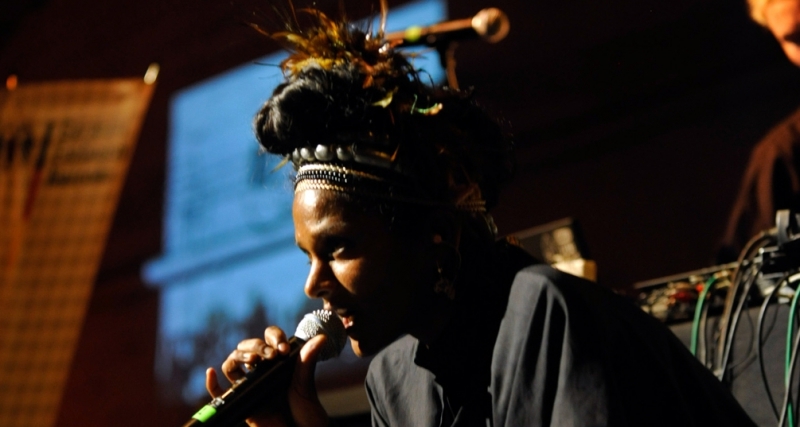 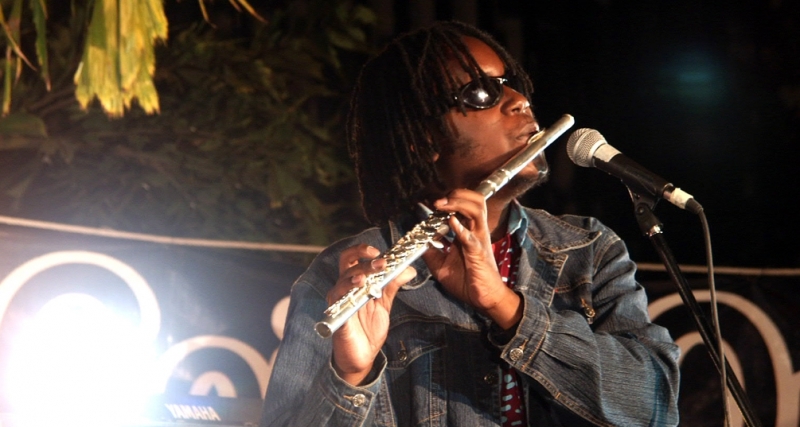 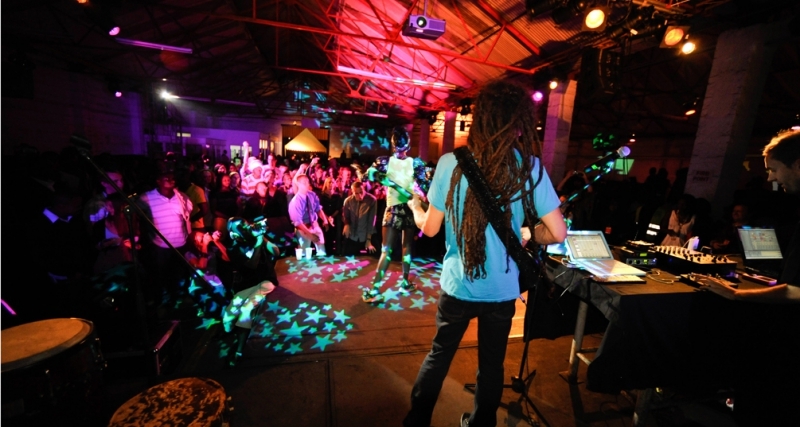 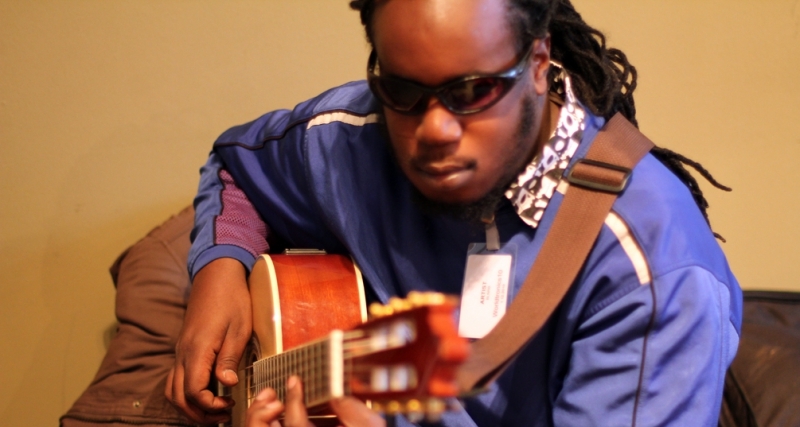 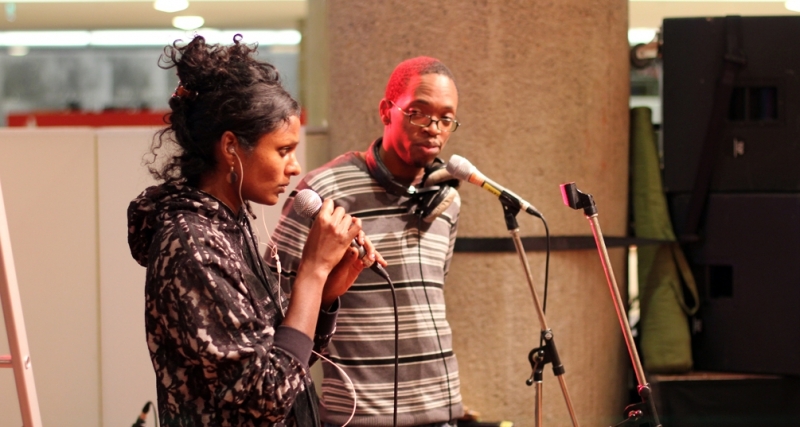 In December 2010, the musicians from Nairobi came to Berlin for a concert night that celebrated the collaboration. 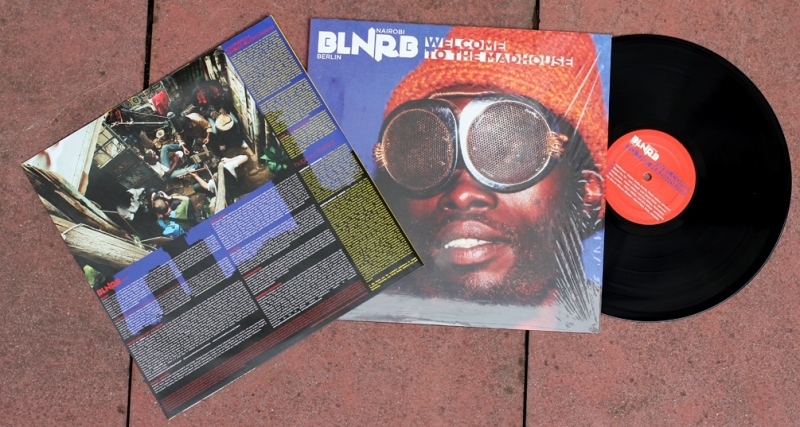 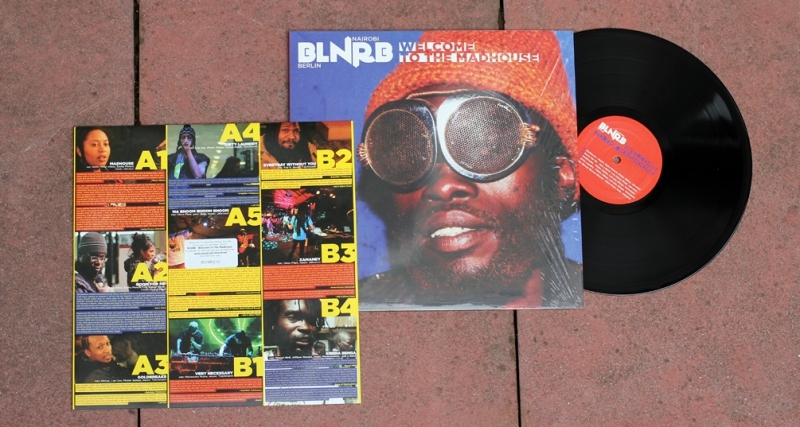 The release concert for a BLNRB EP was held during Worldtronics Festival in Berlin with great success. 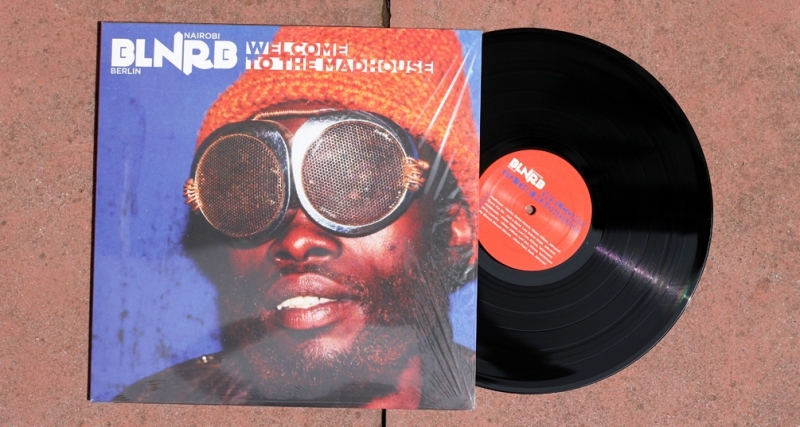 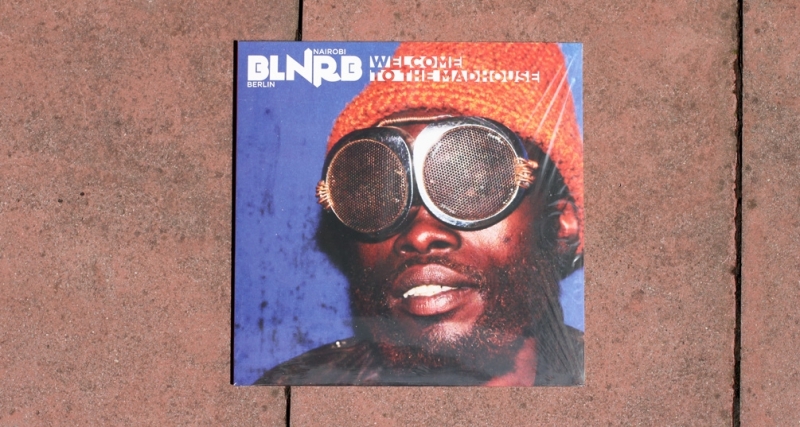 BLNRB – Welcome to the Madhouse features 18 original recordings – as diverse as the more than 20 artists involved. 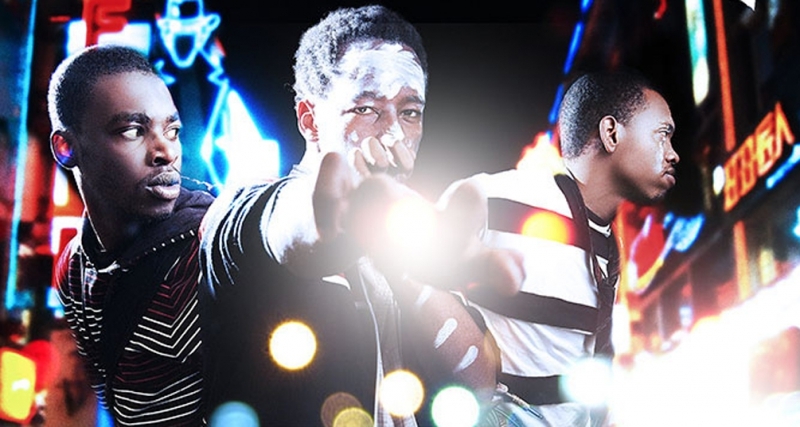 The international Electro clubmusic scene has become all about the latest styles and sounds treated with the newest digital technology, ingredients that are still hard to find in Africa. 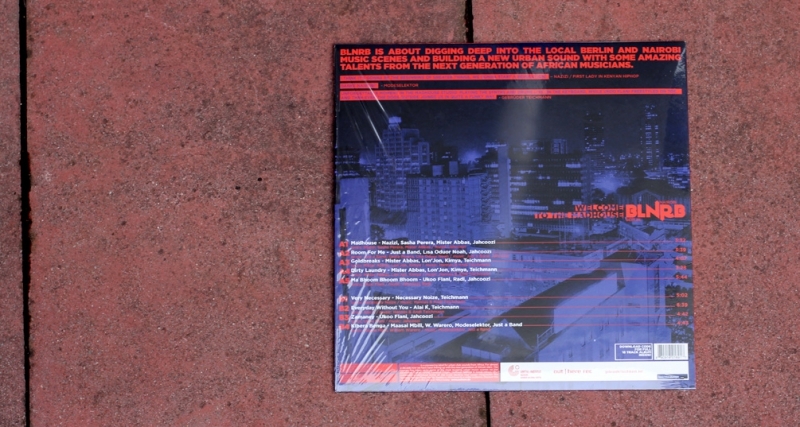 This album bridges this gap and opens a path into a new global clubsound. 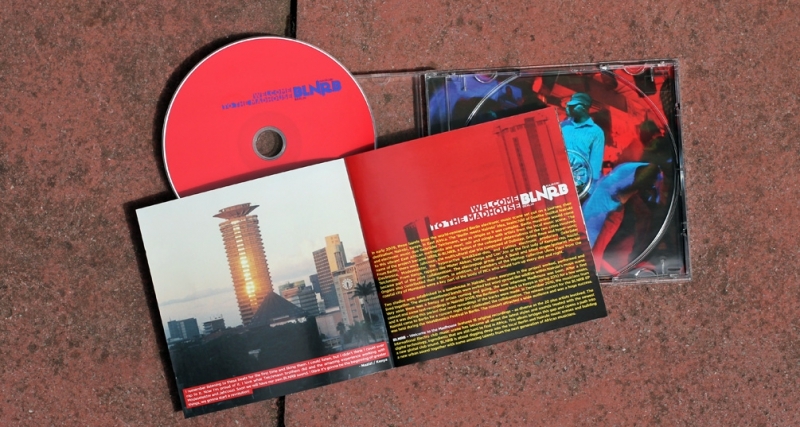 BLNRB is about digging deep into the local Berlin and Nairobi music scenes and building a new urban sound together with some amazing talents from the next generation of African musicians. 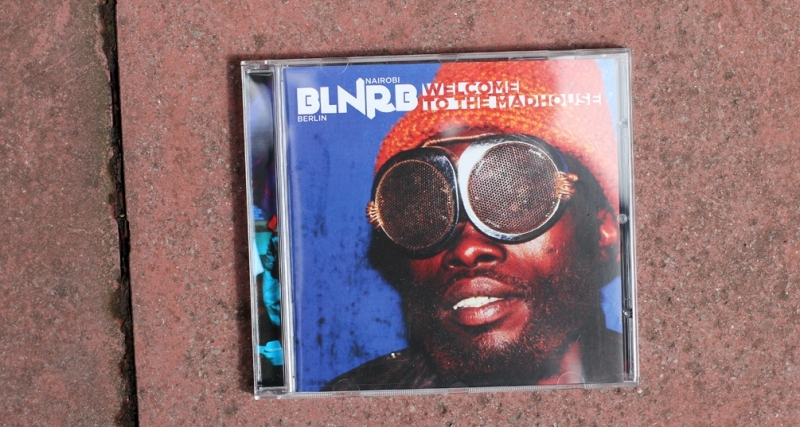 BLNRB - Welcome to the Madhouse by V.A.